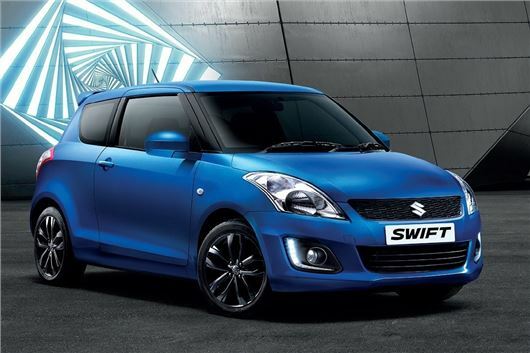 Suzuki has introduced a new SZ-L version of its Swift, based on the mid-grade SZ3 trim level and priced from £10,999. The SZ-L gets sportier styling similar to the 1.6-litre Sport model, but is powered by the more insurance-friendly 1.2-litre petrol engine. It’s available now in three- and five-door body styles. Standard SZ3 equipment includes air conditioning, LED running lights and USB connectivity, to which SZ-L trim adds sat nav, DAB radio, cruise control and sport interior trim details. The 1.2-litre engine produces 94PS, produces emissions of 116g/km and has official fuel economy of 56.5mpg. The Swift SZ-L is available now from £10,999 as a three-door and £11,499 as a five-door.